We are a reputable interior designer & builder, with extensive experience & projects to our portfolio. When you engage our service, you can be assured of quality workmanship without any compromise on quality. Whether you are looking for interior design services for commercial, residential, office or turnkey projects, we offer full services that span space planning and A&A as well as upgrading and modifications. To ensure a smooth and hassle-free process, we make available services such as cost estimation and project management. Our firm is committed to providing innovative solutions so that your space will be dynamic and effective for everyday use, be it for work, home or play. 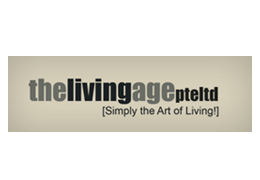 To do so, at The Living Age Pte Ltd, we put a premium on understanding your needs so that we can shape your vision to reality.